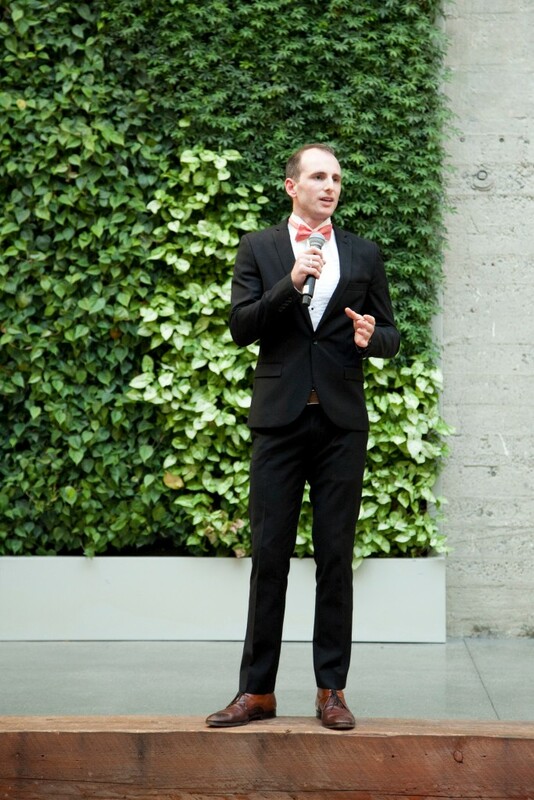 Opening night with Joe Gebbia at Airbnb. Last year, over 24,000 design professionals flocked to Airbnb’s spacious headquarters to begin celebrating the opening of SF Design Week. The house DJ and party lights fueled an enthusiastic crowd, who were abuzz with cheery hellos. Over the course of a week in June, design enthusiasts sat in on powerful talks by industry leaders, mingled over beer and local cheeses, and formed connections with each other in a variety of beautiful modern spaces. This annual festivity has something for everyone—from hands-on workshops to walking tours—that give attendees a chance to breathe in the rich design culture of San Francisco. Posters from a Jessica Hische’s talk at Pinterest. 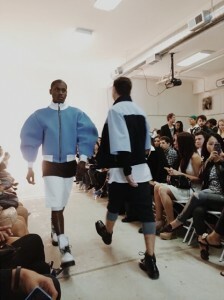 Fashion show from SFFAMA at General Assembly. Among the highlights of Design Week last year was a panel talk led by women in industrial design. 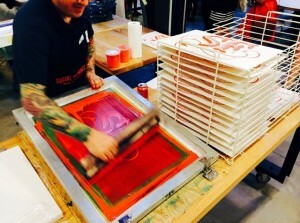 A fashion runway show, screenprinting workshop, and competition where designers had 20 minutes to create a poster in front of a live audience rounded out the festivities. In the highly anticipated open studio tours, visitors followed one of three self-guided trails to check out behind-the-scenes processes of prominent San Francisco design studios. Frog and Fuse Project welcomed visitors into their brightly lit spaces, whereas GE Design debuted a karaoke party bus that roamed through neighborhoods to serve design culture GE-style, over poured drinks. 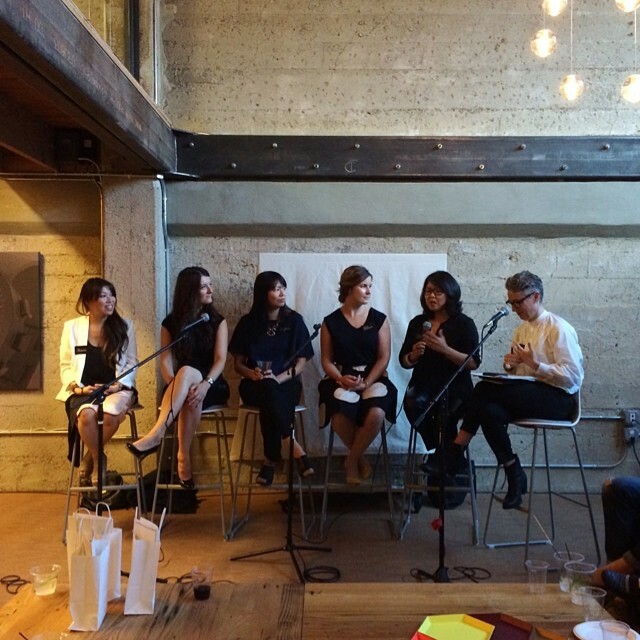 A panel of female industrial designers discuss the state of the industry at Astro Studio. This year, SF Design Week is bigger than ever. 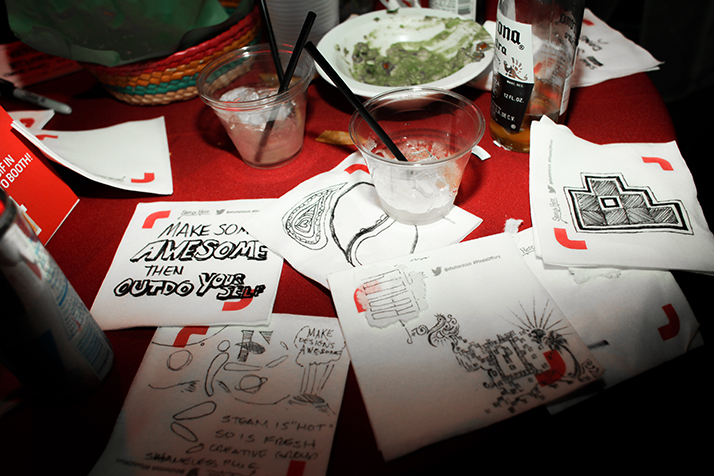 In partnership with AIGA SF, this year’s opening party will be thrown at Pier 27, a massive warehouse right by the water. The opening will be followed by over 75 activities showcasing the best of Silicon Valley innovation and design. Over 60 studios will be opening their doors for the open studio tours. More happenings and talks are in the works as the time draws nearer. Stay tuned for more updates on what Design Week 2015 has to offer and we hope to see you again this year!